For one of art history’s greats, Pieter Bruegel the Elder has spawned a surprising lack of exhibitions. A pioneer of genre painting and landscapes, the Flemish Renaissance artist’s works – the hunters in the snow or rollicking peasant scenes – are world-famous. Now the visionary is finally set to get his dues in Flanders, with the launch of a year-long programme of events and exhibitions. Bruegel Year is part of Flemish Masters, which honoured Peter Paul Rubens in 2018 and will spotlight Jan van Eyck in 2020. The Flemish government has invested €26 million in the three-year programme, designed to spur cultural tourism to the region. Bruegel’s contemporaries thought him superior even to Hieronymus Bosch, whose bizarre hellscapes influenced his approach – though Bruegel dropped the religious overtones, creating his own eschatology spanning literal renditions of Flemish proverbs that captured human foibles, and homages to the simple ways of country folk. Likely born around Breda, the Netherlands, between 1525 and 1530, Bruegel entered the Antwerp painters’ guild in 1551. A trip to Italy inspired his lifelong love of landscapes, and on his return to Antwerp he designed prints for a leading distributor of the day. In 1563 he married in Brussels, and spent the rest of his life there, turning to painting and creating his most iconic works. The city’s architecture worked its way into paintings such as “Winter Landscape with Skaters and Bird Trap” – one reason why Bruegel Year gravitates around the capital. In a major coup, this winter, Vienna’s Kunsthistorisches Museum – home to a Bruegel room housing a dozen works – reunited 75% of his corpus for a once-in-a-generation show marking the 450th anniversary. Staging something similar in Flanders would have been impossible, so Bruegel Year takes a more creative tack, bringing to life his world and visual culture. Among the highlights, the Palais de la Dynastie’s Beyond Bruegel uses immersive technology to plunge viewers into his paintings. The first room zooms in on details and themes from Bruegel’s work, and the second outlines Bruegel works in Belgium (the capital’s Royal Museums of Fine Arts has four, and Antwerp’s Museum Mayer van den Bergh holds the newly restored “Dulle Griet” or “Mad Meg”). After descending past animated scenes from the “The Fall of the Rebel Angels”, a 360° projection room narrates his story as everything from Mad Meg’s army to the Tower of Babel looms up. At the Bokrijk open-air museum in Genk, family-friendly show The World of Bruegel leads visitors through 11 sites linked to the artist. Bringing to life daily scenes from centuries past, Bokrijk itself was inspired by Bruegel’s synoptic eye – merging landscapes and impressions into a single composition (the first curator hoped to call the site “Bruegelheem”). 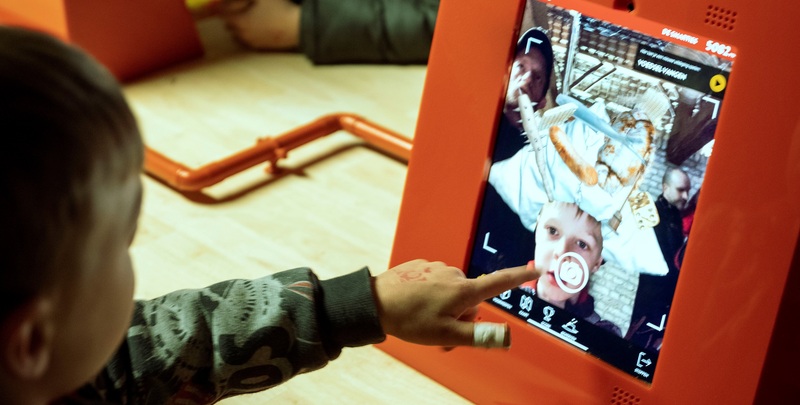 Kids can search the site for objects from the painting “The Fight Between Carnival and Lent” (1559) using augmented reality technology while, from 11 July to 1 September, theatre company Laika will give Bruegel shows twice a day. Artist Frits Jeuris has also created a composite view of Bokrijk that replaces the missing panel of Bruegel’s series “The Months” (1565). Top art draws are Gasbeek castle’s show about how Bruegel influenced early 20th-century artists, and Bruegel’s lesser-known graphic works at the grand Palace of Charles of Lorraine in Brussels. 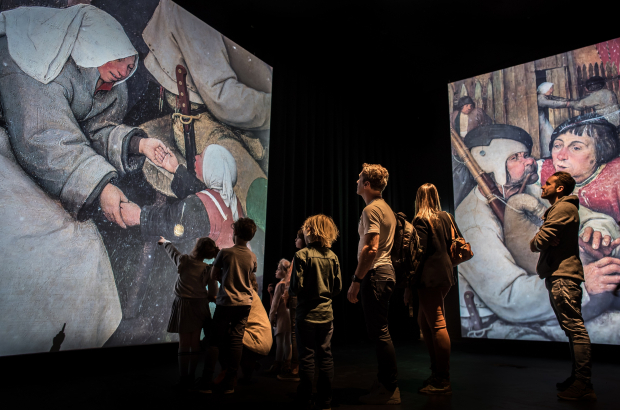 Sellink hopes visitors will emerge with a sense of Bruegel’s sophistication – hardly the peasant among peasants cemented in memory by Flemish author Felix Timmermans’s biographies.